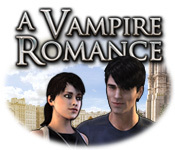 A Vampire Romance: Paris Stories is rated 2.0 out of 5 by 26. Rated 2 out of 5 by SaintJoan from Not a Twilight of this Vampire Romance Thought this game would be fun but it was only tedious and I only opened this on a free trial basis. What a waste of an hour. Suggest they go back to the drawing board to finish this game. This game I will not be purchasing. Giving it a pass as in a walk by with my wallet still in tact. Rated 1 out of 5 by kazzye97 from What were you thinking? This game is so tedious to play, you have to restart everytime you get it wrong and it's impossible to figure out where to click , things that are hidden are so hidden that you can barely see it, in corners, very far away , you name it! this game has made me so furious, rethink the design please! Rated 1 out of 5 by niowalters from Not my cup of tea Too much information is left out at the beginning. Hidden objects hidden within other objects not explained in instructions. Poor lighting. Too many problems with this game to make it enjoyable. Rated 1 out of 5 by lr429 from Worst Game Ever! It's a waste of time! Don't even bother trying it. Makes no sense. Drives you crazy! Hard to understand what the heck you're supposed to do and where the heck you're supposed to be. Taking the metro (subway) was a total waste of time. Who created this garbage? Rated 1 out of 5 by janisann from bad game this has to be the worst game I've played It is sooo boring. Rated 1 out of 5 by RVKittykat from Hidden Object Game This game was among the worst I ever played. I got as far as the vegetable stand and gave up in total boredom. It may be me but this game was not my idea of fun. Rated 1 out of 5 by Julia2654 from Waste of time I'm glad that we can previews of the games. I wouldn't spend a cent. Confusing subways, stoooopid mini-games, what is the clue pattern? I gave up after 20 minutes. Rated 1 out of 5 by CyndiLouWho2 from Another "Extended Edition" Failure From This Developer I have seen only one awesome game series from this developer and that was the classic epic Syberia, which I own on CD. After that, it's almost as if their budget or resources were cut and they started putting out cheap, cookie cutter rubbish. So, whenever you see an "Extended Edition" game by Mzone/Solilab . . . RUN!! Run far, far away. They are the only developer I know who can take potentially great storylines, or timeless tales like Dr Jekyll & Mr Hyde, and turn them into horribly tedious games. I tried to play this particular game for an hour because I saw some promise in the vampire storyline. But, I didn't make it. Graphics are flat, and some characters don't even have faces -- they're just black silhouettes.. The dialogue is silly and juvenile. Instructions for gameplay and minigames are sketchy. I agree with all the other reviewers who hated the subway to get around. There were two minigames I ran into that I wasn't allowed to skip. Once I figured out how to solve the second minigame, my "drawing" wasn't deemed correct and I was forced to start over. After the third time of starting over, I decided I'd had enough. Seriously, don't waste your time on this one. Rated 1 out of 5 by Sidestroker from Confusing Run-Around I bought the game without the free trial, because of the hype and graphics advertised seemed worth while. I could not glean what was expected of me. I never got out of the train station. 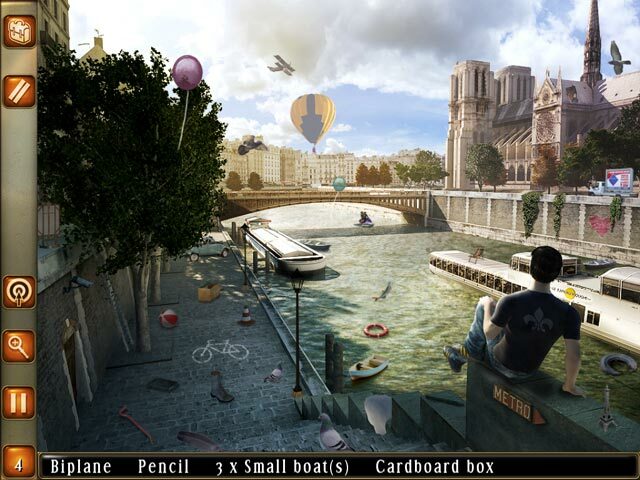 I really love hidden object games, but never got to a hidden object scene. I'm sorry I didn't use the free trial. I won't make that mistake again. I may go back some day after my feathers get unruffled, and try again. Right now I have nothing good to say about the game. I would not recommend this game. I would warn away instead. Rated 1 out of 5 by tquick50 from A frustrating game I was looking forward to seeing Paris, but spent the time in the subway. No directions, The mini games had a little fun to them. Do not buy this game. Rated 1 out of 5 by grannieshirl from The Game that went nowhere!!! Seems as if you can only get in the subway and go in a circle to where you started!!!!! I don't like being stuck under ground and no hint on how to get to the line you want!!!!!!!!!!!!!!!! Rated 1 out of 5 by krpsandies from What? I wasted a credit on this? I expected the game to last a lot longer than it actually did. What a waste of a game credit. I wish I could get it back. The story did not live up to its potential at all. Rated 1 out of 5 by SeaBamboo from Tedious Well I tried; I managed to last a full hour & I almost fell asleep. The story has no joy or horror or romance; it is a sort of teen girl’s idea of love in Paris, except that you have to keep taking the most boring trips around subways to find your train. After half a dozen or so journeys going nowhere in particular & doing nothing in particular when I got there I really never wanted to see these trains again. 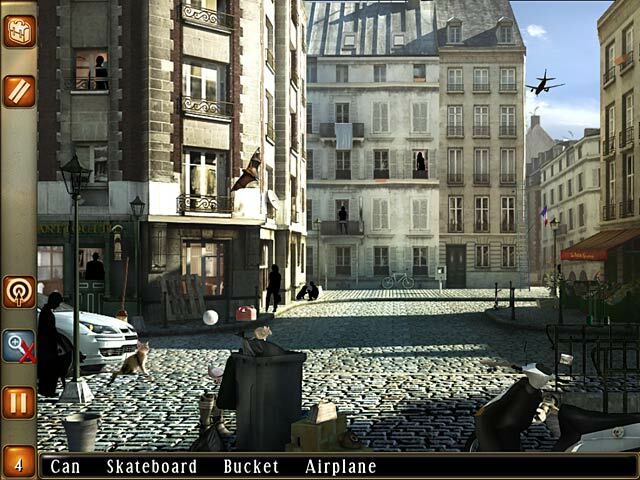 There are precious few hidden objects and even fewer mini-games; just endless travelling from one station to another to spend a minute or two looking at scenes of Paris & picking up a few hidden objects, some are lists of items & some are shadow pictures. The scenes are not even really good drawings, these would not want to make me visit this beautiful city; better graphics would have helped. You start off with a few hints, I really cannot remember how many but you have to find a star in a scene & click on it to gain more. I finally met ‘the boy’ in the art studio & got to travel with him to a cemetery where his family are interred; the oldest in Paris apparently. It looked more like a concrete jungle that is met at the bottom of an underpass. The girl draws his picture & he is overwhelmed, presumably because as a vampire who cannot look in a mirror he can’t remember what he looks like by which point I really don’t care for her or him or the game; thus ended my demo. Rated 1 out of 5 by BrideyFearn from Not even Faint Praise Slow. Confusing. Irritating. I have it on good authority that, even in Paris with a good map, the Metro is not for the faint of heart. That said, I wish I could have found a story in the short time I devoted to this piece of dreck. Not having found one, and irritated beyond belief by the puzzles and small items needing to be found, I gave it up. Bad. Very, very bad. 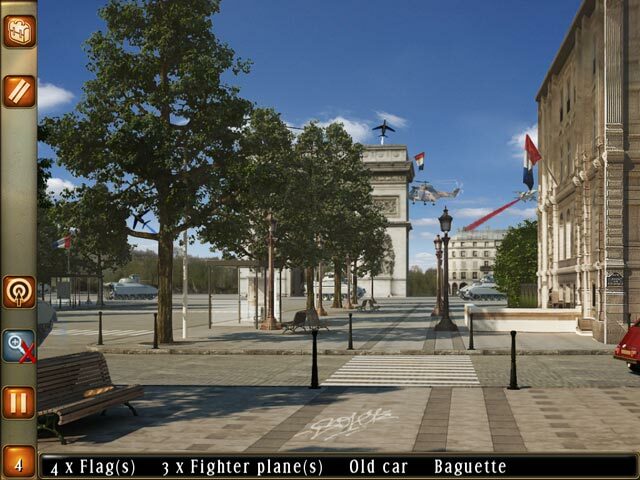 Rated 1 out of 5 by truemiss from Possibly one of the worst hidden object games Right at the start of the game there are no directions so you are just randomly clicling trying to link " metro lines" to each other and find places that are written in French. i played it for 6mins and quit because you go around in circles trying to figure out what you are even supposed to do, Definitly one of the worse games on this site i've played!!! Leila Saraostre has just moved to Paris and has fallen for the mysterious Uriel Rothven! Experience a Vampire Romance!